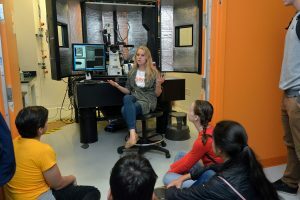 On October 3, 2017 the Singh Center for Nanotechnology hosted NanoDay@Penn, which brought in ~150 high school students for a whirlwind tour of cool STEM activities and Penn facilities. 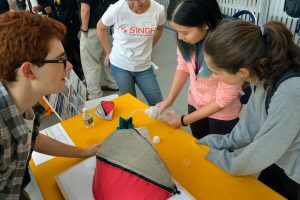 Our REACT students were quick to answer the call for volunteers, a roster which included a large team of volunteers from Penn Engineering and the School of Arts and Sciences. 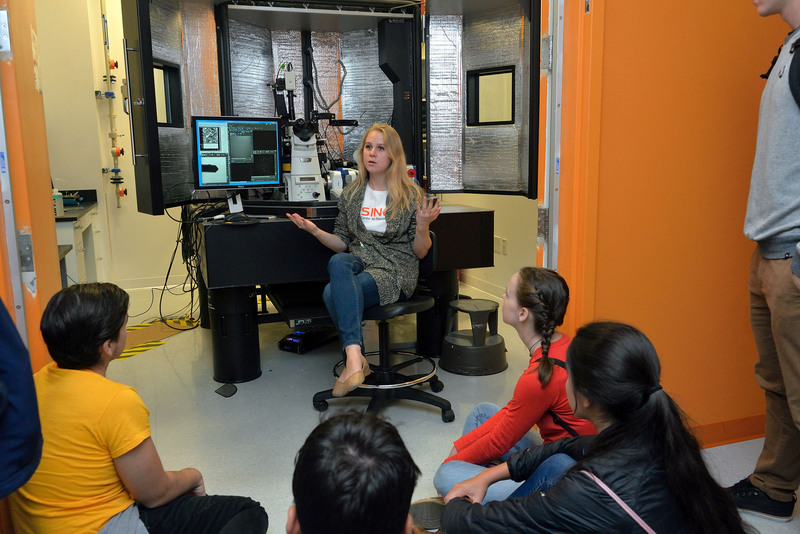 REACT students gave the opening talks, engaged students at their labs’ demo tables, showed off powerful research microscopes, and led the youth through a hands-on microfluidics activity. Several members of the undergraduate SURGG Tent Team brought out their tent models, posters and expertise on coatings and super hydrophobicity.